Watching films in old cinema is always a unique experience for so many reasons. From the lack of space between aisles, to the fairly not comfortable seats, all these tiny details entice film enthusiasts to come back for more. Yes, there is something about these retro venues that will never put us off. But if the old theatre mentioned, actually the oldest one in activity in the UK, is far from being unpleasant or uncomfortable at all? Much more than this, it's one of the most interesting venues to be visited in Birmingham. This place exists! That's the famous Electric Cinema, established in the Chinatown area, in the back of New Street station, since 1909. This fascinating building still attracts a public used to the multiplex and big screens and it's not difficult to understand why. Preserving the historical architecture and its classic facade but with a whole different feeling of watching film when you step inside this. Simple as that! The box office is definitely a nice way of starting to feel the atmosphere of this place. Even the ticket is vintage! At the entrance is also where you can find the goodies and the service what will make your film session pretty unique. The idea of drinking a beer or a nice cuppa without leaving your seat is very interesting indeed. And it works! A simple text message with my order and a very quick delivery made me think the whole experience was a bit strange in the beginning. I don't remember drinking a bottle beer while watching a film anywhere else than my own home. 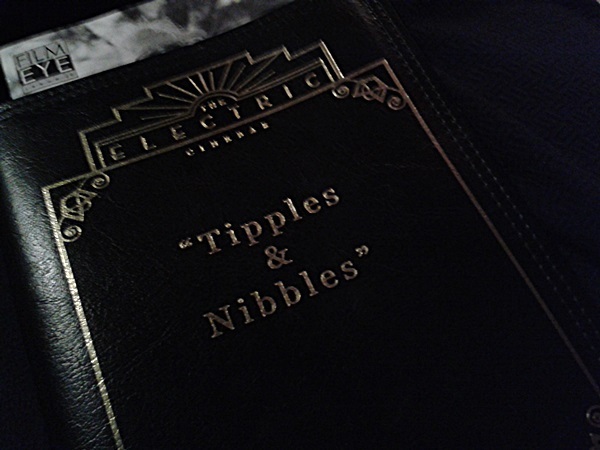 Properly licensed, the Electric Cinema has a selection of wines and beers that even includes its own brand, produced by the Two Towers Brewery. 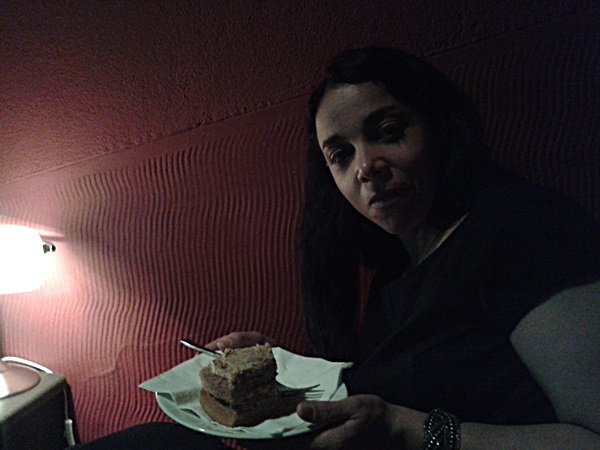 It's almost impossible to resist the cakes and snacks found on the menu too. Everything looks so delicious. The prices are reasonable but I still would prefer eating a delicious homemade cake here than a pack of microwave popcorn from any other random cinema, anyway. 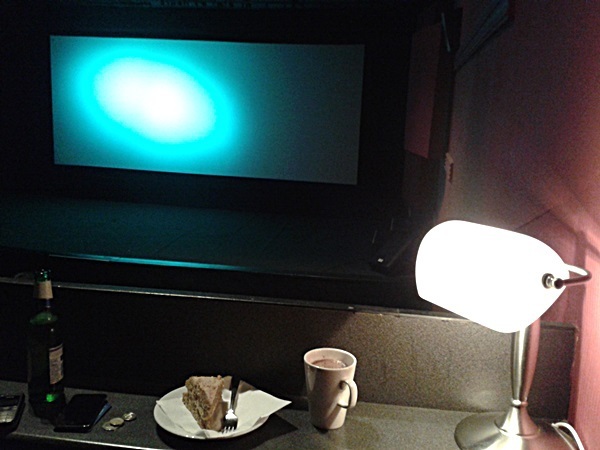 As soon as you get your drink and/or cake and have a nice place in on of their special sofas, like the Hepburn one, this cinema session become more and more exciting. The difference of price between seats and sofas is really small, so don't think twice and go for the second option! If the film is good, the chances of the Electric Cinema becoming your favourite theatre are very high. But if the film is not that interesting, there is a slight chance of you nodding off for a while, which pretty much proves this comfy and pleasant venue is not a simple old theatre. This is one of the best cinemas I ever visited.